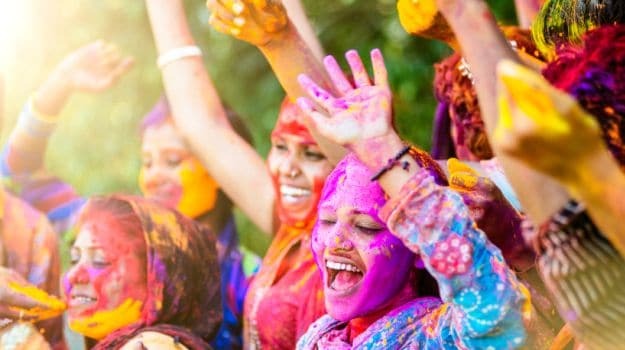 Holi is also the time for family bonding, and this is the perfect activity for all family members. Here is an easy recipe to make gulal by renowned beauty expert Suparna Trikha. Take 200gm arrowroot powder, 100gm haldi, 50gm marigold flowers, 20gm orange peel powder (finely powdered) and 20 drops essential oil of lemon or sandalwood. Put all the ingredients into a large plastic mixing bowl or tub and hand mix, rubbing together gently. You will see a beautiful yellow coloured, safe and natural gulal being made. 2. Herbal Water ColourFor those of you who would like to play a wet Holi, buy Tesu flowers and soak about 100gm in a bucket of water overnight to get the beautiful saffron colour. You can have the children fill balloons or their water cannons with this safe natural coloured water. For magenta or shades of pink, beetroot is an excellent agent. Boil a few pieces of beetroot in a cup of water to create dark magenta coloured water. Or you can also keep pieces in the water and let it rest for a few hours for the colour to develop. For dry powder, grind beetroot to make a paste and let it dry in the sun. Mix with besan or wheat flour and use. Hibiscus flower is another good option. 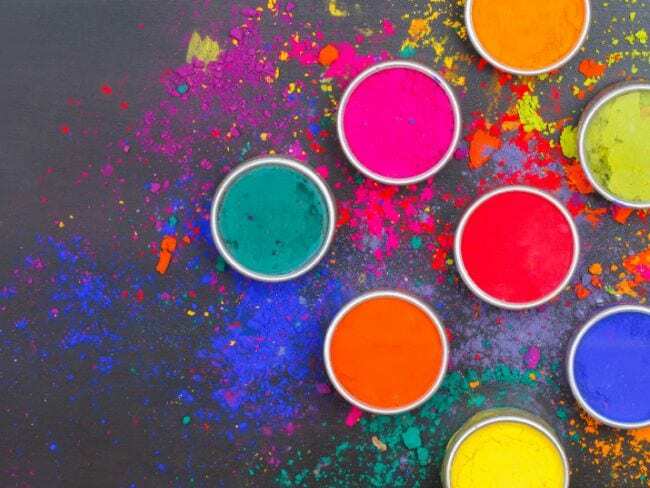 Beauty expert Ishika Taneja says, “Dry colours on your mind? Take rice flour, add proportionate food colour and mix it with two teaspoons of water to make a thick paste. Leave it to dry and then blend it in a grinder to use it as a powdered colour. 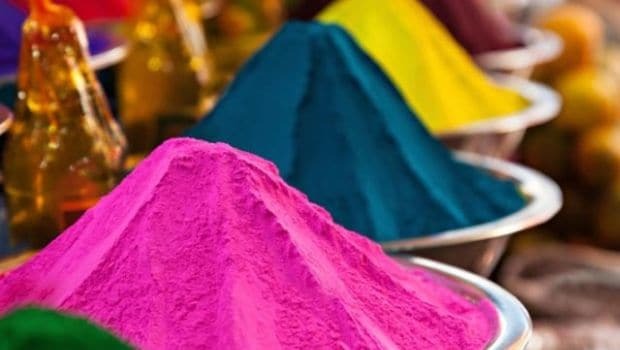 It’s easy to make saffron, orange or yellow natural Holi colours. For powder, take besan and mix it with some haldi along with a little water. Then leave it in the sun to dry. 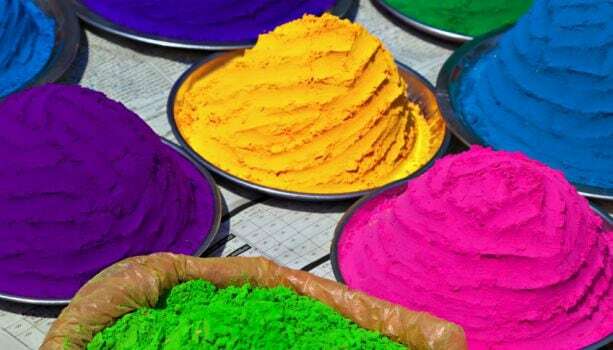 For water colours, soak henna leaves in water overnight and use the water to play Holi in the morning. You can also use henna paste. Yes, you are thinking right. You can use various green leafy vegetable to get the green colour. Spinach is a popular choice and so is coriander leaves. Just make a paste and mix it in water and play!